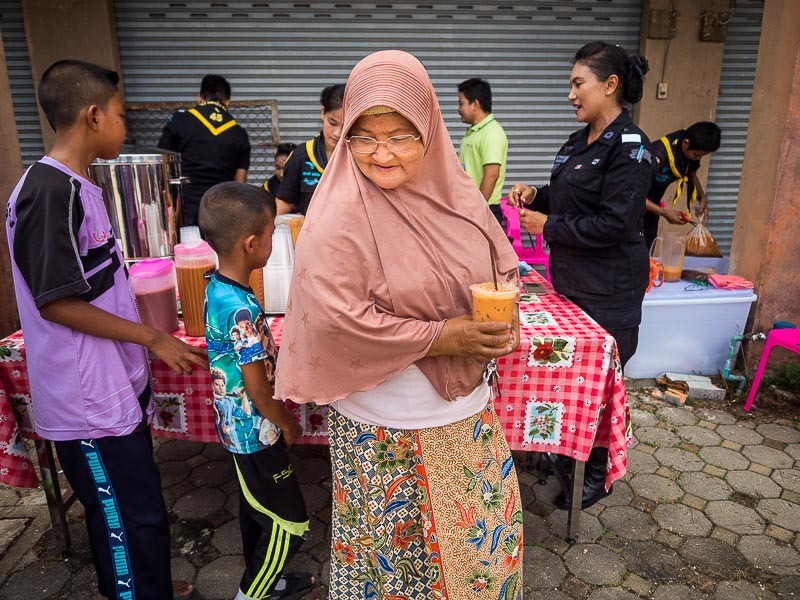 A woman picks up an iced tea from Thai army Rangers at a "hearts and minds" event in Narathiwat. I've returned to southern Thailand for the week to work on a story about the start of Ramadan, the ninth month of the Islamic calendar. It is observed by Muslims worldwide as a month of fasting to commemorate the first revelation of the Quran to Muhammad according to Islamic belief. This annual observance is regarded as one of the Five Pillars of Islam. Islam is the second largest religion in Thailand and the "Deep South" provinces of Pattani, Narathiwat and Yala are Muslim majority provinces. 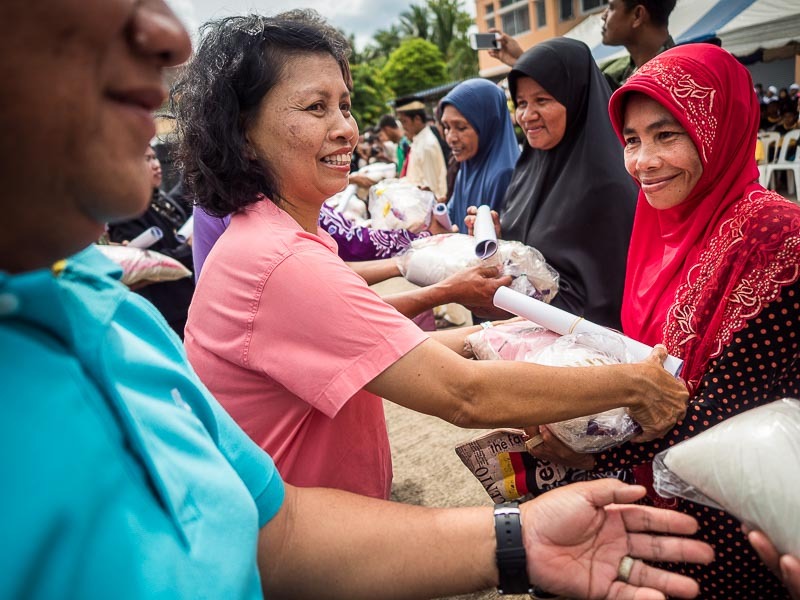 Handing out rice and staples to widows and orphans in Narathiwat. The southern provinces are frequently described as "restive" and there is, by Thai standards, a high level of political violence in the south. 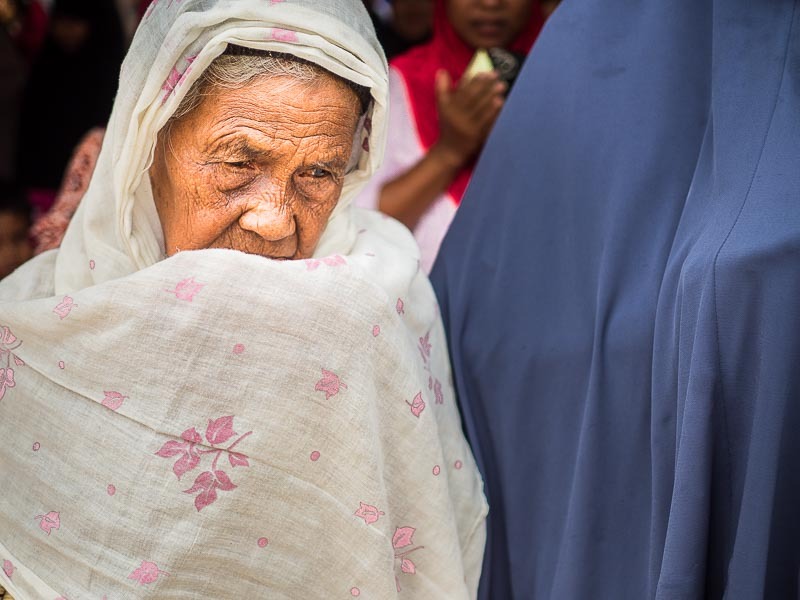 Muslims in Southern Thailand lived in their own world of relative autonomy for centuries. They had their own Sultanate and while the Sultanate owed allegiance to the Siamese (Thai) Kings (this was when Thailand was an absolute monarchy), they had autonomy over domestic issues. In 1902, that changed when Siam, as Thailand was then known, annexed the three deep south provinces. There has been an insurgency off and on for much of the time Thailand has governed the south. The level of violence ticked up noticeably in 2004, about 6,000 people, on both sides, have been killed in bombings, shootings and political violence in the last 11 years. The violence ebbs and flows. I've been in the south when we've gone from bombing scene to bombing scene and encountered military checkpoints in almost every town. I've been in the south when it was quiet. Right now, the South is in a quiet phase but it could change in an instant. A woman prays at the start of the rice giveaway. The Thai government, and most of the people in the South, are hoping Ramadan will be peaceful this year.